Seattle based composer Yann Novak has just issued another gravity-defying piece of sonic gauze. Up Close (Dragon’s Eye 3”CD) was created for a piece by the Crispin Spaeth Dance Group, and listening to it is a little like being inside a cave at the back of a waterfall. Seemingly a mix of generated and natural sounds, the 18 minute piece creates a foreground that comes in and out of focus, against a backdrop that has a very movingly aquatic feel. Don’t be the last one in. 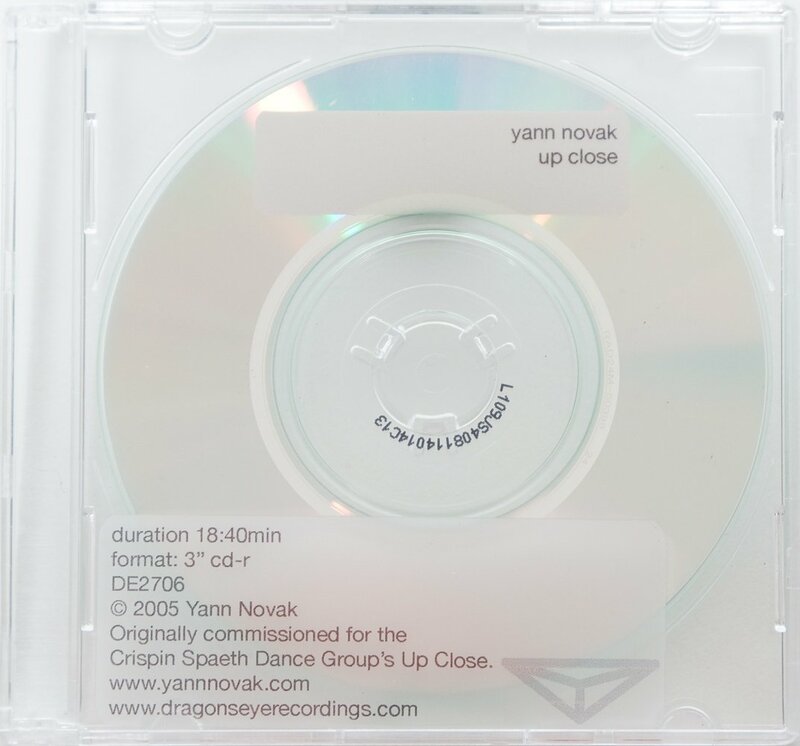 Seattle-based sound designer/dismantler Yann Novak has been all over the style map via his label, everything noise-infused, drone-derived, and glitch-glutted—he’s one of many little-known and underappreciated American ‘scape-artists. Too bad, too, as Dragon’s Eye has been releasing some sterling documentation on the CDR format as of late. Take these two cool lit’l 3”s. On Dark Room, Novak does a sort of reductionist riff on Merzbow, softening the blast wave with discernible atmospheres and a teeming detail of well-coordinated tings, tangs and thrums; I’d be happy if its 20-minute length were easily doubled. Up Close gets quite personal, eschewing the brash for the blippy; these alien symphonies are practically jaunty, extraterrestrial juju for Martian jukeboxes. Interstellar, and, well, quite stellar. Up Close is an exploration of proximity in all its forms. This score was originally commissioned by the Crispin Spaeth Dance Group and complemented a multimedia performance entitled Up Close by the dance group and Jason Faulknerin December of 2005 at Velocity Dance Center, Seattle.